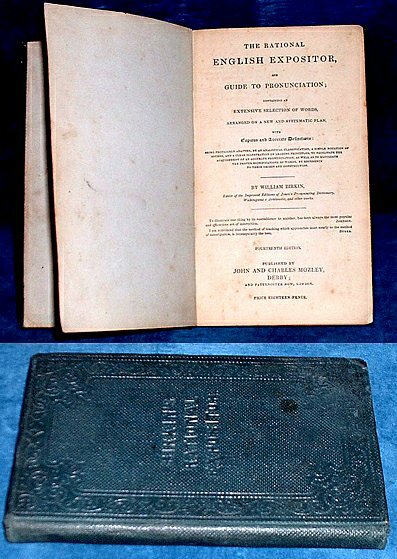 Description: Derby and London, John and Charles Mozley 14th edition 1838 from Preface . 12mo green blindstamped cloth (tips worn) 168pp burn to top corner of about 70pp not affecting text, some endpaper soiling but pretty inscription "William Hope Book Bought for a Present". *Rare - not in British Library or Bodleian.